Here at Crown Oil, we have lots of fantastic people working for us. Some of our employees go the extra mile for charity and our newest charity supporter is Mauricio. Now I’ve never had long beautiful locks myself and admire any male (or female) who spends years growing their hair. However, our Mauricio is going to do a hair-raising task today and shave off his hair for a very special charity. There will also be a charity fun day with various activities going on such as charity football matches, fairground games, tombola, raffles, face painting, bouncy castle and much more. If you’d like to attend and help support this amazing charity it is £2.50 for an adult ticket and £1.50 for a child’s ticket. Mauricio, we have a lot of admiration for you doing this today and wish you all the best! Personally, I think you’re a cut above the rest and I’m sure Lymphomas Association will be made up with your efforts! 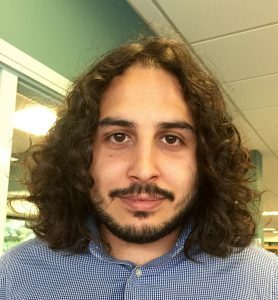 Hair today – gone tomorrow – Marvelous Mauricio is shaving his hair off for charity!